Every year, thousands of dollars in scholarship money is not used because students did not apply for scholarships they are qualified for. Many students feel that scholarships are only awarded to seniors with the highest GPA, class rank, and college admission test scores. While those factors are important for both college admissions and academic scholarships, there is a wide range of scholarships available to students which are based upon hobbies, extra-curricular activities and/or athletics, religion, organizations that they or their parents may belong to, career interest areas, fine arts, parents’ employment, and many other specialty areas. There are many excellent scholarship searches available to students; however, it is important to remember that students and their families should never pay for a scholarship search to avoid getting caught in the many scholarship scams that occur on an annual basis. If a scholarship opportunity sounds too good to be true, it usually is. When concerns about a scholarship search or scholarship occur, the Better Business Bureau and EducationQuest are two resources for checking on the validity of such offers. The LSW Counseling Center recommends using ScholarshipQuest at EducationQuest when searching for scholarships associated with organizations in Lincoln, Southeast Nebraska, or the state of Nebraska. ScholarshipQuest also provides students the opportunity to create an Activities Résumé, which is a very useful tool that allows students to create a list of their accomplishments. As the scholarship committees attempt to identify the best candidates to receive their awards, the résumé can be an instrumental part of the student’s scholarship application. Once the information is entered, the résumé may be customized and be printed. The résumé can be saved for an extended time as long as a student chooses to keep it active. There are a number of FREE online national scholarship searches. As stated previously, students and parents can prevent scholarship scams by avoiding searches that charge a fee for their services. Students can utilize the Career Cruising system for scholarship searches when the log in with their LPS credentials. Peterson’s is a one-stop scholarship resource — not that we recommend this strategy — with a number of great (and free!) resources. The site boasts $10 billion in scholarship awards and has an impressive collection of articles, test prep resources and more. But it’s not just a stockpile of scholarships. It also has the tools and tips you need to start your search — and its search filters make navigation simple. Filling out a very short survey allows you to adjust the filters as you go, which gives you more control than sites that require extensive profiles to get started. Like Peterson’s, Unigo has plenty to offer beyond just scholarships, including jobs, internships, college profiles and rankings, articles and a textbook store. When it comes to scholarships, the site offers both profile-based matching as well as easy-to-browse categories. Perhaps best of all is its user-friendly interface, which is somewhat reminiscent of a photo-sharing site. It makes finding scholarships simple. What’s more, the site values security and privacy of personal information – so, in other words, no spam! Fastweb, a subsidiary of Monster, hosts more than 1.5 million scholarships that amount to more than $3.4 billion dollars. And it’s all so well organized! The search platform’s filters make it hard not to find exactly what you’re looking for. One minor drawback: You have to fill out a profile to get started. But the profile helps match you with scholarships most likely to suit your needs, and the sign-up process is relatively painless. Cappex has a large scholarship database and they’re not afraid to brag a bit: “We’ve Got More Than $11 Billion in Scholarships.” Registering can be annoying, but you’ll be glad you took the time to get personalized results. Cappex sets itself apart with its “What Are My Chances” tool, which attempts to calculate the odds that you’ll get into a certain college before you apply. Over the years, Chegg has expanded from its humble beginnings as an online textbook store to become a well-rounded education resource. It acquired scholarship match service Zinch in 2011 and now hosts scholarships totaling over $1 billion. 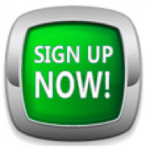 Its interface is simple and the mandatory sign-up process is well worth the time. What’s more, it has a “top scholarship picks this week” category, which highlights opportunities you may have otherwise missed. And on top of the scholarships, Chegg offers homework help, tutoring, test prep, internships and (of course) textbooks. As with all of the best resources, The College Board offers much more than an extensive list of scholarships. It also has test prep, articles and college search tools, among others. And its “scholarships, other financial aid and internships from more than 2,200 programs” totals nearly $6 billion. Added bonus: While you’re perusing the site you can prepare for the SAT! Formerly known as College Prowler, Niche is one of the easiest sites to navigate. It’s neatly organized into categories that make it simple to start finding and applying for scholarships. You can browse by categories – including, but not limited to, sports, interest area, career and major — but it can be tricky to filter outside of these preset groupings. Still, with no required sign-up and a user-friendly design, Niche is a simple and powerful resource. It’s one of the largest databases and is updated daily. You can browse by category, but if you really want to navigate the extensive list of opportunities, you’ll need to make a profile. It’s one flaw: The site has ample information about alternate forms of financial aid, but it lacks some of resources other sites offer. Despite its somewhat unusual interface, Collegenet has an impressive number of scholarships. You can search by keyword or create a personalized profile to get filtered results. From there, you can create, manage and save lists that you can return to later. Scholarships are listed by their award amounts, with the highest payout listed first. While the site’s search results are often extensive, it could benefit from some more filtering or organizational tools.. Scholarship Monkey offers three search options: personalized search, search by keyword and lists of scholarships. Results from any of these searches can then be further filtered by college, but unfortunately not by any other criteria. Despite its huge index of scholarships, the site is not as easily navigable compared to some others, making it more difficult to take full advantage of its opportunities. Another reason it ranks lower on the list: spam. I’ve received numerous emails from the site, even after unsubscribing. Nonetheless, it’s a great tool with a huge database of scholarships – even if it is trickier to use than others on the list. The heart of scholarship season is October through March, during which time, seniors will have the most scholarship opportunities to pursue. However, it’s never too early to begin scholarship searches to learn what types of scholarships are available. While the majority of scholarships are aimed toward current seniors; the scholarship searches will alert younger students who use the scholarship searches about opportunities they may be eligible for. When applying for scholarships, allow plenty of time to do the searches, contact references, obtain recommendation letters, obtain any necessary documentation, and complete the actual application. Scholarship deadlines are important so allow enough time to complete and submit applications in a timely manner. When requesting recommendation letters and/or asking individuals to be references, a two- to three-week time period should be given to those persons providing information about you. It also is helpful when students provide references with a copy of the scholarship they are applying for and a copy of their résumé. Take time to research scholarship opportunities and to review scholarship tips available for creating the best application possible. To learn more about UNL’s scholarship process, please click here.